Since the end of the 18th century, Wilmington has been a hub for theatrical activities. The Port City heartily embraces live theater and performing arts and October ushers in the beginning of many new productions. Audiences can take in a show in a venue that is as much a part of the experience as the performance itself. On your next visit to Wilmington, theater lovers may want to check out some of our historic and interesting playhouses! Thalian Hall is the only surviving theater created by the renowned arch itect, John Montague Trimble. The construction of Thalian Hall in the mid 1850’s put Wilmington on the map as a major stop for national touring acts. The hall was used consistently throughout the Civil War for many types of shows. 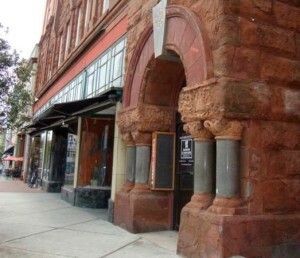 Thalian hall remains one of Wilmington’s most popular venues hosting approximately 422 events each year. CityStage is a venerable theater with an adjoining rooftop bar, Level 5, that overlooks the city of Wilmington. The playhouse has an intimate feeling, but actually seats about 200 people. The building began as a Masonic Temple back in 1897. It was also owned for a short time by the actor Dennis Hopper in the 90’s. City Stage is best known for fun and irreverent musicals. The current home of the Wilmington Community Arts Organization is the historic Hannah Block USO building that was used to entertain World War II troops between 1941-1945. The building’s namesake, Hannah Block, was known in her day as Mrs. WWII Wilmington. Previously a cabaret singer, Hannah organized the entertainment: big band dances, plays, music recitals and more for the troops. At the height of the war, the Wilmington USO catered to approximately 63,000 off duty troops per month. The building now hosts our local non-profit theater companies as well as the Thalian Children’s Theater Association. The lobby houses a WWII/USO museum. 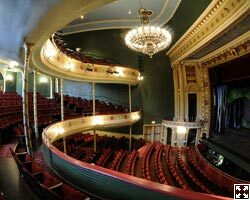 Wilmington, North Carolina is alive with theater and musical entertainment on various stages throughout our city. Here is a short list of some of our other favorite venues around town. As you can see, the show certainly does go on Wilmington! Theatre fans will surely find an amusement to their liking while visiting the beach this season.